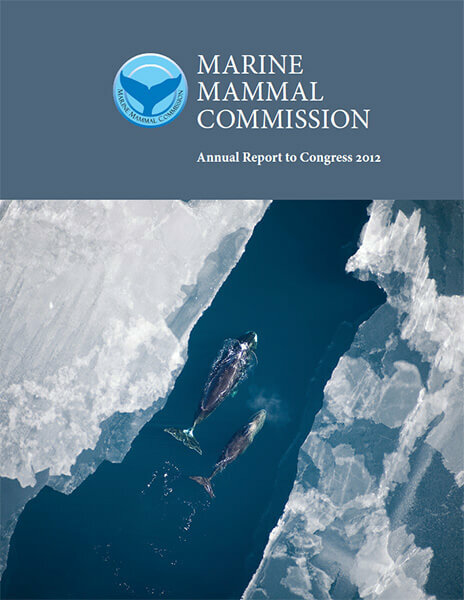 Every year since 1973, the Marine Mammal Commission has published an annual report highlighting our projects, activities and accomplishments for the previous year. 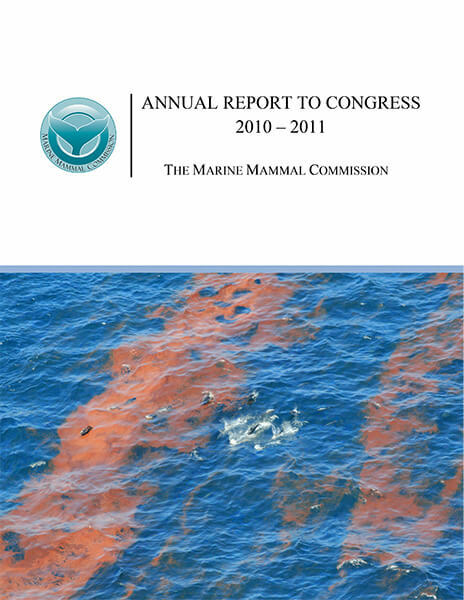 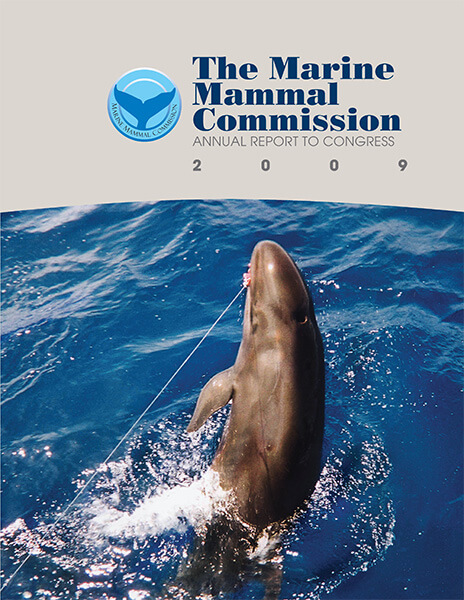 Our annual reports are one of several publications that we release on an annual basis to highlight our work and the most pressing issues impacting marine mammals and their environment. 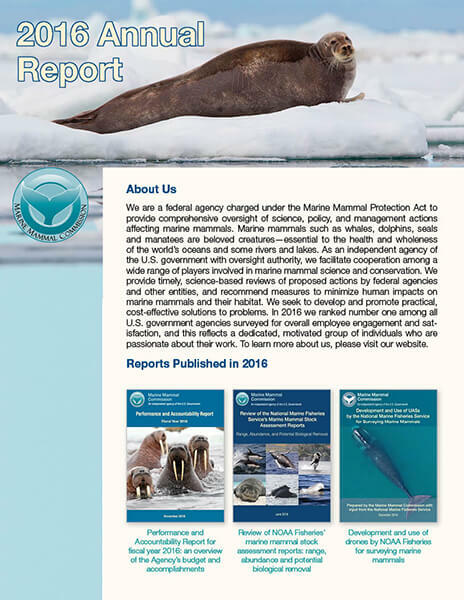 In 2013 we redesigned our annual report into a shorter one-page summary document. 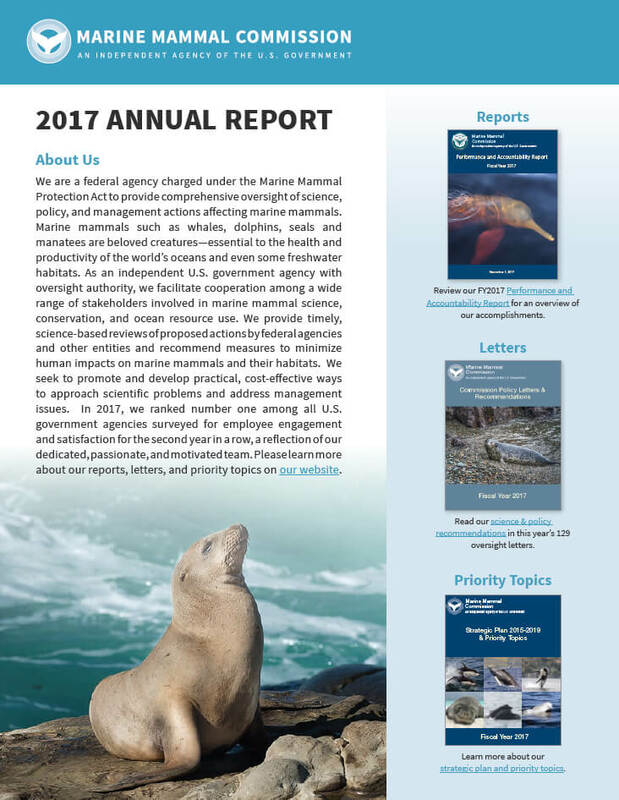 The new annual report was designed primarily for electronic distribution and use, directing the reader to relevant sections of our website for additional information. 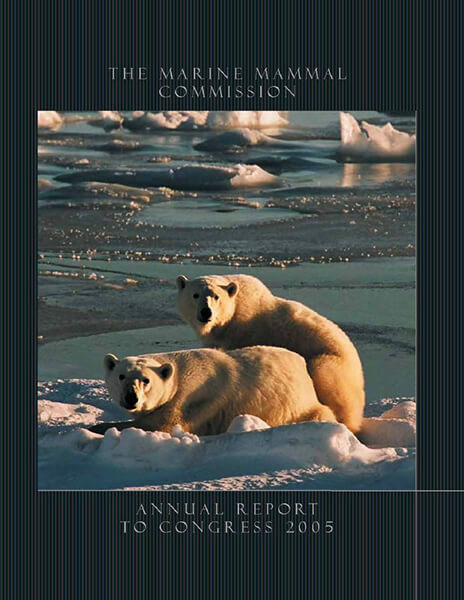 Annual reports from 2005-present are available below for download. 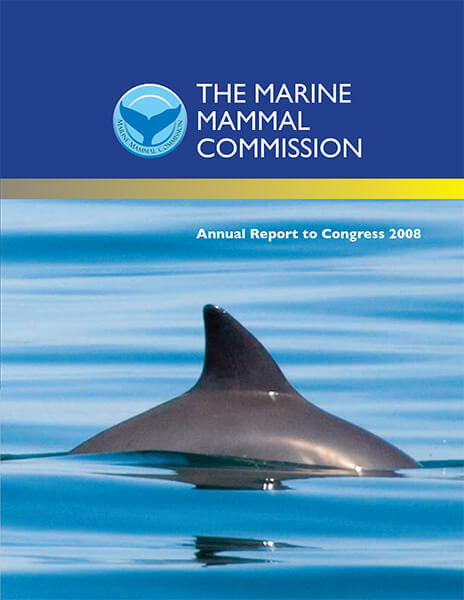 If you wish to request a copy of an annual report prior to 2005, please contact us at mmc@mmc.gov. 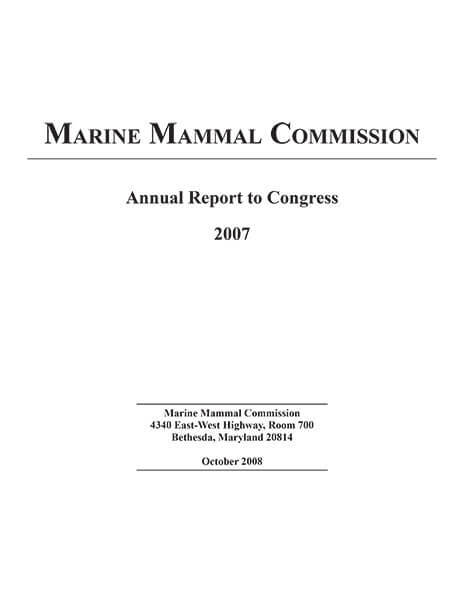 Note: Download times of large PDFs will vary based on connection speed. Additional information on PDFs. 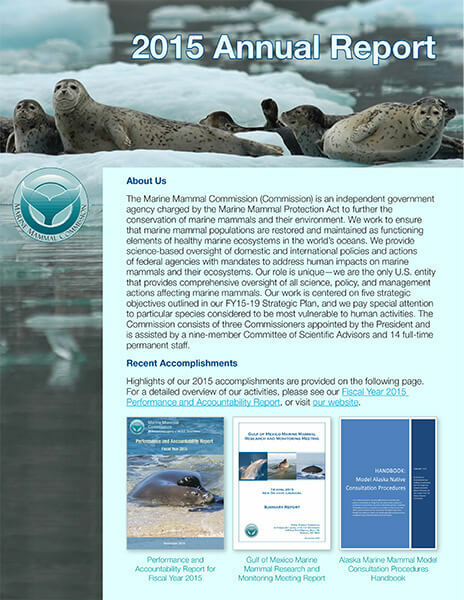 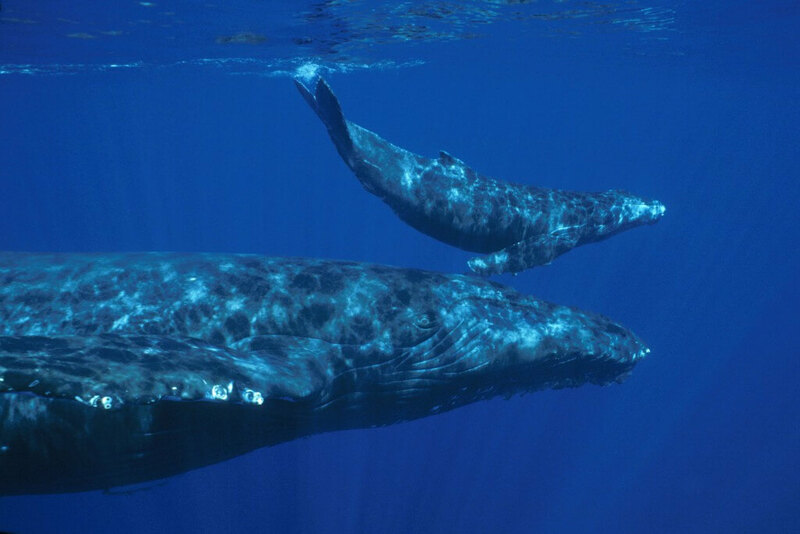 Highlights include efforts to oversee legal and policy decisions under the MMPA; to engage communities and stakeholders; to reduce marine mammal bycatch domestically and overseas; to continue funding novel, low-cost, small-scale research projects to catalyze future work; to provide ongoing technical and funding support international conservation of marine mammals; and to emphasize the use of science-based decision making. 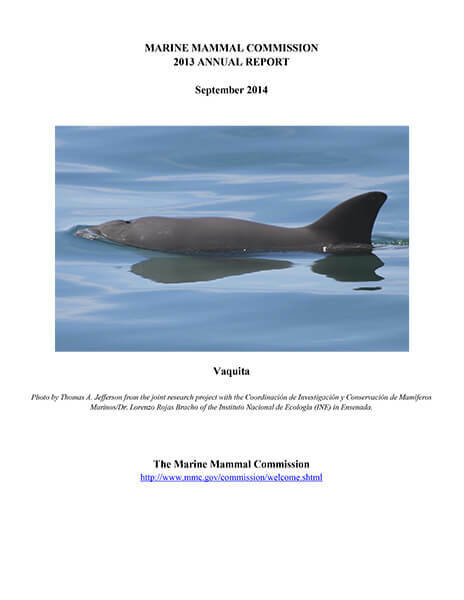 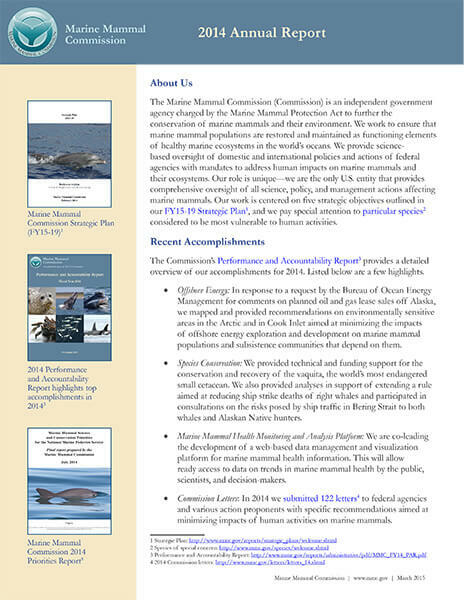 Highlights include efforts to reduce marine mammal bycatch domestically and overseas; to continue funding novel, low-cost, small-scale research projects to achieve a large impact; to provide ongoing technical and funding support for the conservation and recovery of the critically-endangered vaquita; and to enhance communication and coordination with community, regional, and federal partners. 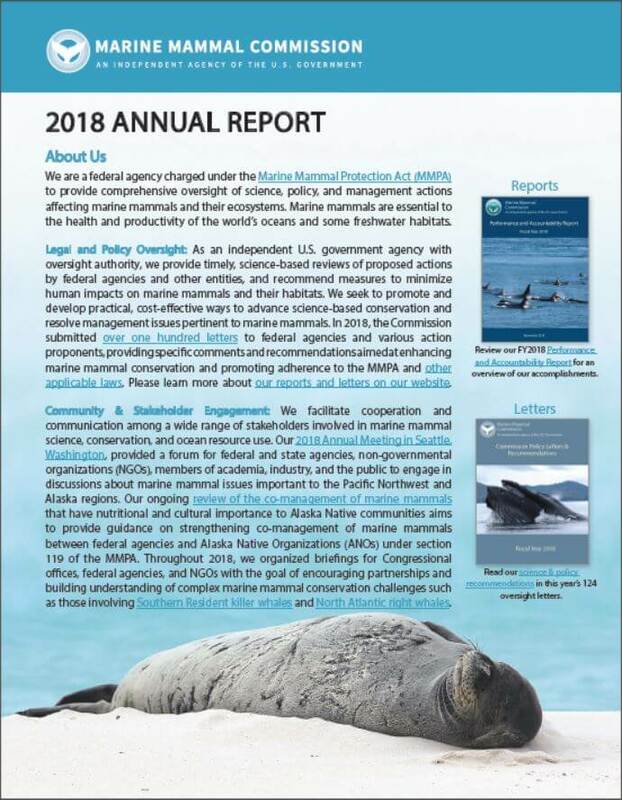 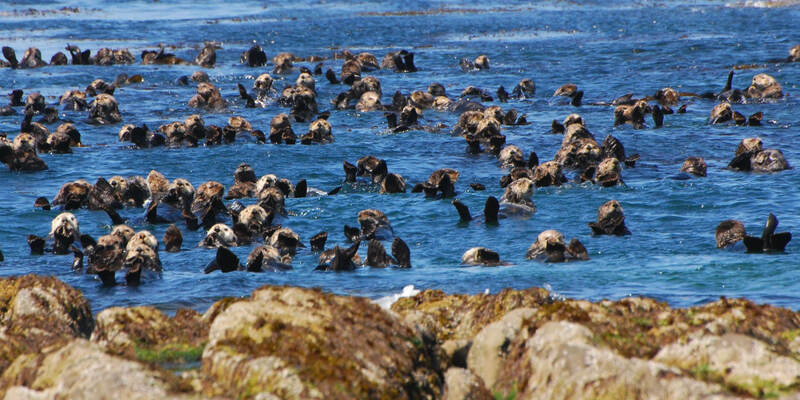 Highlights include efforts to reduce marine mammal bycatch domestically and overseas; enhance communication and coordination with communities and regional and federal partners on issues impacting Alaska Natives; and provide ongoing technical and funding support for the conservation and recovery of the critically-endangered vaquita.